Discover what’s working, what’s not, and how to fix it with our detailed website audit. We’ll assess several key areas, including: user experience, conversion optimization, SEO, performance and security. In fact, having a poor website can be worse than not having one at all. Your target audience will make snap judgements about your company within the first 1–2 seconds they view your website. 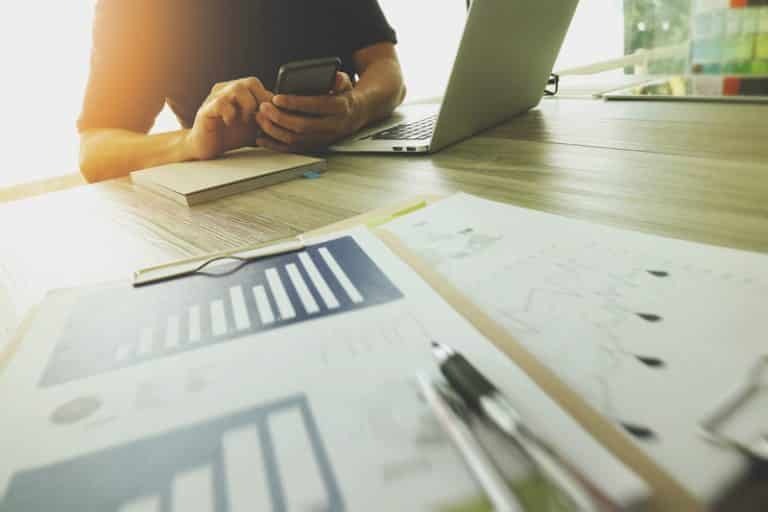 The bar has never been higher to cut through the noise and connect with today’s digital-savvy buyers. Is your website designed to attract and engage with your audience? Are you losing sales to your competitors because of your company’s website? Your website is the hub of your marketing program. We have more than 19 years of experience, having built hundreds of websites, so we know what works and what doesn’t. We follow a proven four-step methodology. We believe every successful project starts with a strong foundation. We ask lots of questions to understand your needs, goals, audience, and desired outcomes. This acts as our road map that we use to ensure we continue in the right direction and successfully reach the destination. We begin by further studying your audience, industry and competition. We brainstorm and conceptualize visual solutions that express your core message. Scrutiny is applied to every choice—from typefaces to color palettes—as we refine ideas and develop them into finished mock ups for you to evaluate. We successfully carry the project through delivery but our work doesn’t stop there. We work with you to gather feedback, provide support and tie up any remaining details. Our years of experience helps ensure the entire process has gone smoothly and the final result achieves the project’s goals. Your business is unique, so your website should be too. No cookie-cutter templates used here. Your website is designed to look great across all devices: desktop computers, laptops, tablets and smartphones. Log in and easily update content, such as hours, services, staff changes, projects and new photos. Your website can include a full-featured blog as well as social media links, widgets and sharing tools. Showcase photos of your business, team and projects through photo galleries and interactive slideshows. Visitors are encouraged to sign up for email updates, request estimates or consultations or contact with questions. Your website will be optimized for fast page load speed, which will help ensure the best user experience for visitors. Your website will include “on-site” optimization to be found and indexed by Google for your keyword phrases. Your website can include an embedded Google map to your location(s) so your customers can easily find you. We can host your site on our premium, secure servers with SSL and advanced features to keep your website protected. Your website will include analytics to see where your traffic comes from, what pages people visit most and much more. We back up your site daily and keep your website software and plug-ins updated to ensure your site runs smoothly. 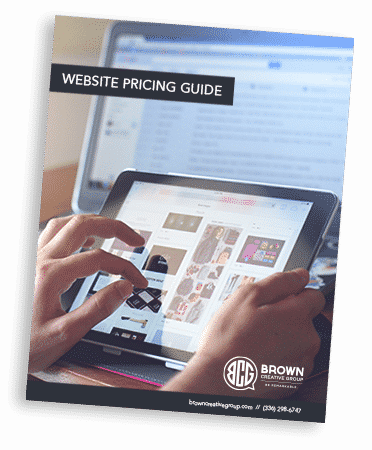 As you can imagine, there can be a wide range of prices for website design—and often the answer is, “it depends.” So we put together this helpful guide as a starting point on what you can expect to budget for your next website from Brown Creative Group.